Booth 4: What is Foxfire? Wow, talk about bringing back memories---while stocking our booth recently a college student was browsing in the booth next door to ours and picked up these vintage issues of the Foxfire Magazine. She asked me if I knew what they were about. I told her what I could remember about the publication and the interesting stories about life in the mountains of North Georgia and about the books that were later published as a result of the successful magazines. 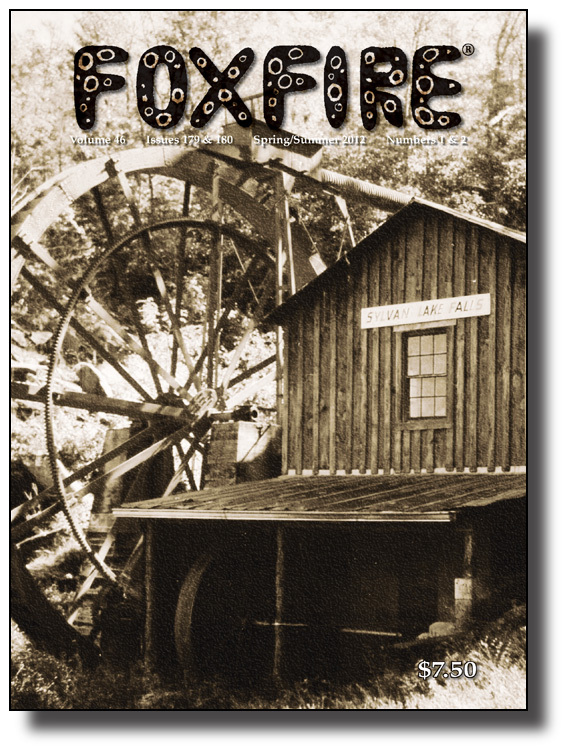 She got me interested in doing a little more research, and I discovered that Foxfire Magazines are still being published today. Get the whole story here and come on down to OCT to get your vintage copies of this great magazine. The term "foxfire" is a name commonly applied to several species of bioluminescent fungi that grow on rotting wood in damp forests (like the Southern Appalachians) during the warmer months. These fungi typically produce a dim blue-green glow that can be seen only in dark, starlit areas, away from any artificial lights or moonlight. "Foxfire" is the name that an English class picked, in 1966, for a student-produced magazine they chose to create, containing stories and interviews gathered from elders in their rural Southern Appalachian community.